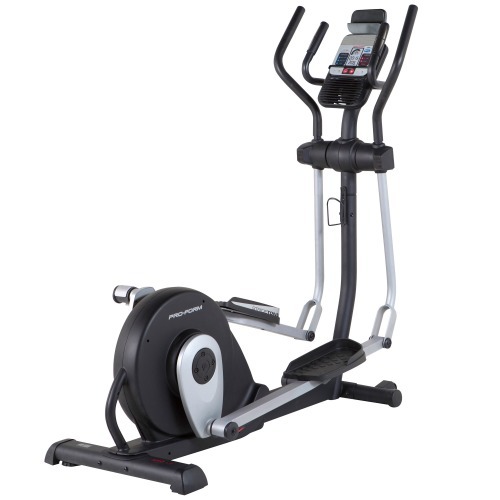 Reebok are one of the highest profile brands in home fitness and have a strong reputation for building quality home fitness machines. They’ve currently got a large range of differing models on the market including their Z series, GT series and Titanium series range of machines. 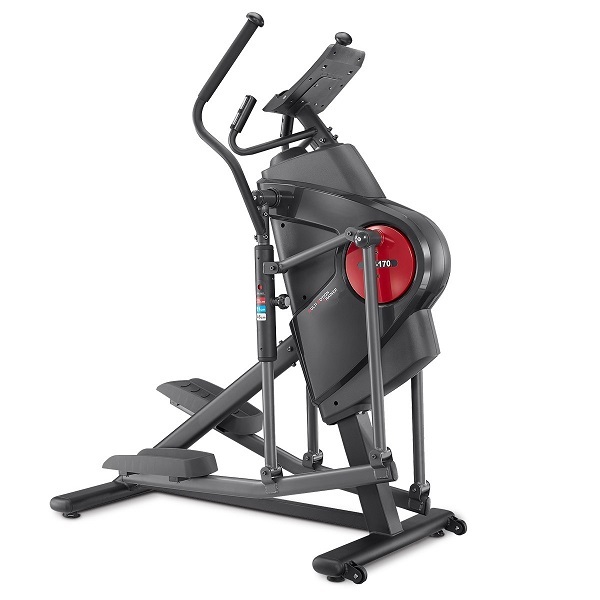 Having covered some of these ranges extensively we thought we’d take a closer look at their Jet series and got our hands on a Jet 100 elliptical for review. As always with these machines, assembly is the first stop on road to fitness nirvana. 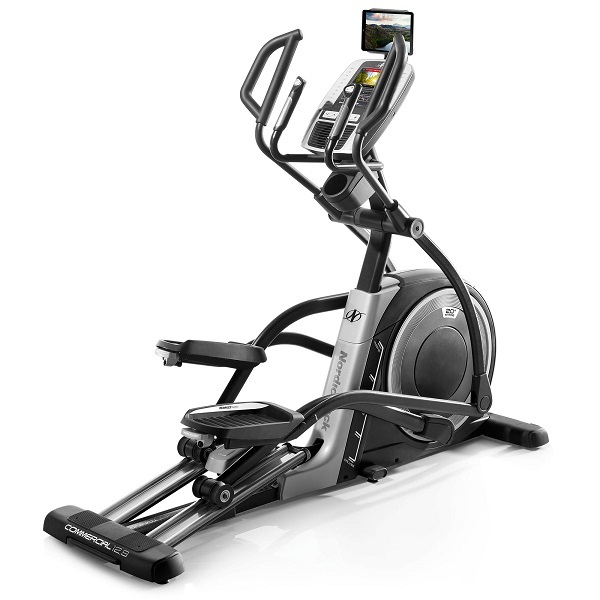 Sometimes putting an elliptical together is a workout in itself! Thankfully not so with the Jet 100. 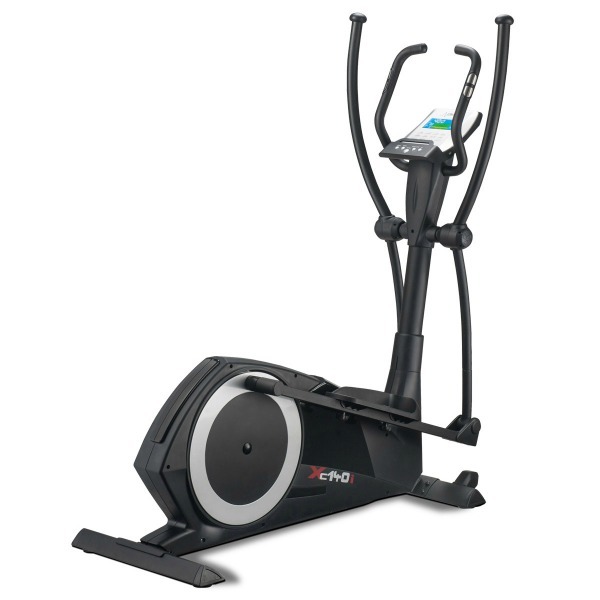 This elliptical is goes together without fuss or hassle and it took us less than an hour to have it ready which is good for an elliptical. Looks-wise the Jet 100 looks nice. With a no nonsense black and white design and a bit of red trim to add some vibrancy it looks neat and tidy. It’s the sort of design that most rooms will accommodate without it becoming the centrepiece which is what you’d want in most cases. 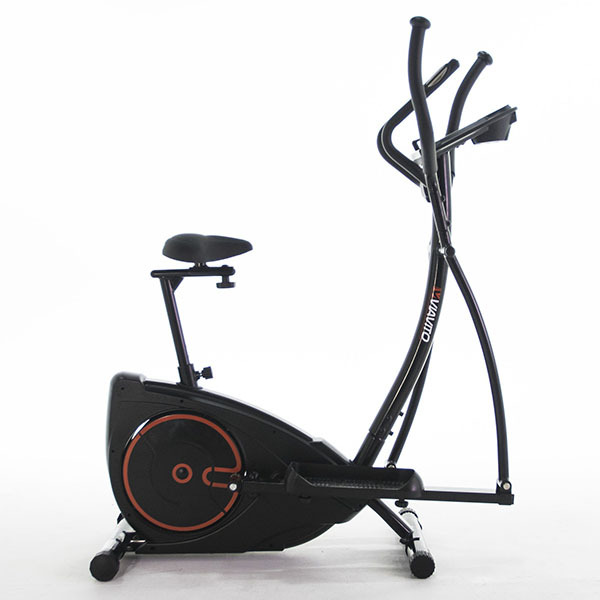 Positioning is always important on a cross trainer and being able to reach the handles properly throughout the cycle is paramount to getting a good workout. That’s not a problem on the Jet 100 due to its size (169 (H) x 63 (W) x 144 (L) cm), unfortunately its size also has a downside in that the stated stride is 15 inches. If you’re average height this is unlikely to cause any problems. If, however you’re 6ft or more then it’s likely you’ll find that this model doesn’t offer enough of a stretch. Overall, it’s easy enough to get a decent position on it so it’s going to suit most users. 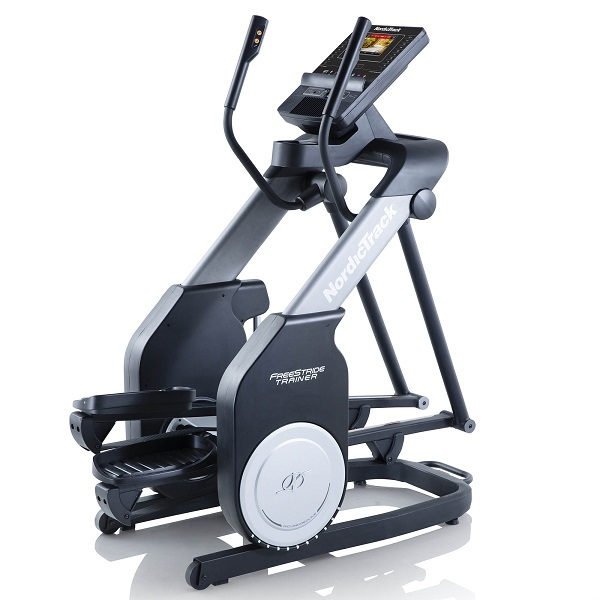 The action is smooth and consistent and it’s good to see that Reebok have decided to incorporate a 9kg flywheel. Had they gone cheap and reduced the weight on such a compact machine the results could have been disastrous in terms of the feel, however it measures up quite well and feels solid and smooth. 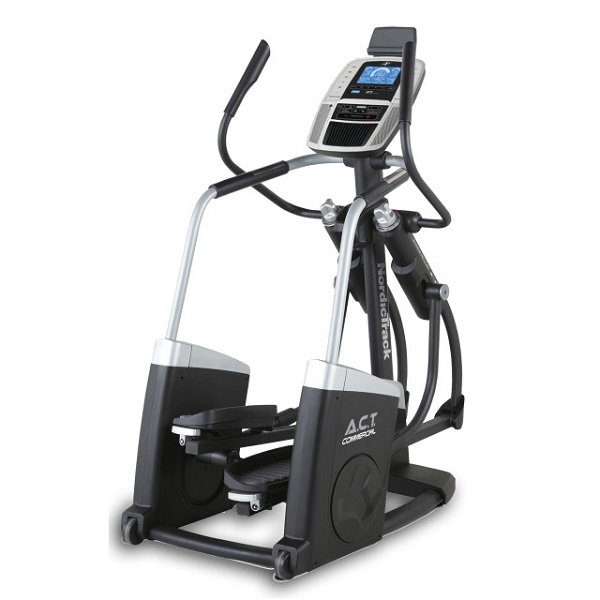 The Jet 100 features the 5″ blue backlit LCD display that works well in delivering workout information on speed, distance, time, RPM, calories, pulse, and watts. There are 32 levels of resistance with the top end being pretty good, though it’s doubtful whether this will provide enough of a challenge to users that are already very fit. 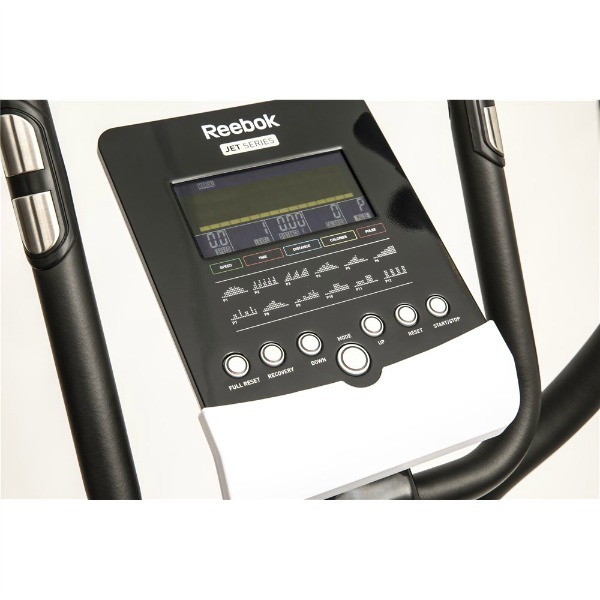 One rather disappointing aspect is the lack of a wireless heart rate receiver which you’ll find on most ellipticals at this price point. Still, if you’re not overly bothered about your heart rate then this won’t present an issue as the pulse sensors are ok for a rough guide. User profiles really do help to enhance the training data for things like fitness tests and particularly calorie burn counts. While these things are always theoretical on fitness machines, it’s nice to have them as accurate as possible, but here again it’s a bit disappointing that Reebok have opted for the one size fits all approach and not included the option of profiles. Again, this isn’t the end of the world but in this day and age, we were expecting a bit more. The console itself is easy enough to use. It’s clear Reebok have deliberately left this simple and navigating through the menus is logical enough to be able to just play with it and find your way around without having to refer to instructions, though there are a some functions such as heart rate control workouts or the recovery programme that it’s worth referring to the manual for. The workouts are scalable too which means you can find your favourite format and keeping making it more difficult as time goes on which is a good way of ensuring that you’ll stay interested by being able to keep using your preferred programme. 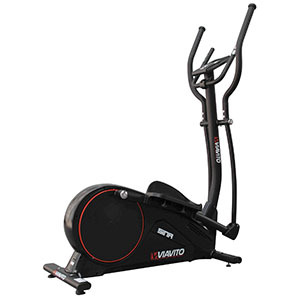 The warranty on the Reebok Jet 100 bike is their standard 2 years parts and labour warranty offered across all the products in their ranges should you ever have a problem with the bike. The Reebok Jet 100 is not currently available from any retailers we're aware of in the UK. 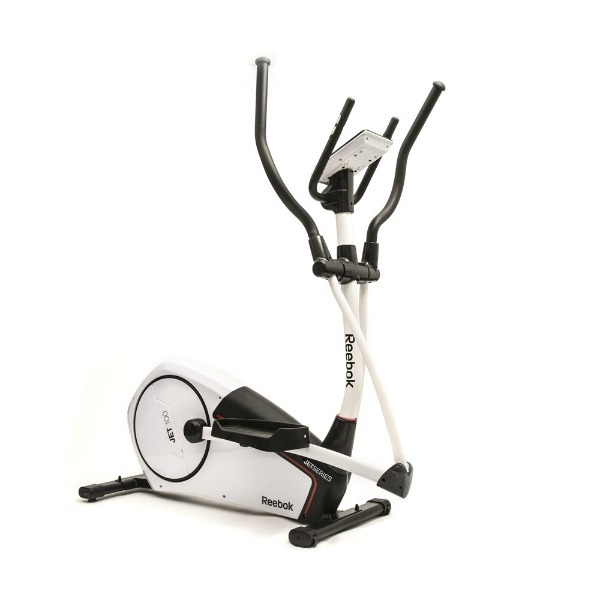 Like many other Reebok machines this is a simple, easy to use, nice looking bit of kit for the home. Its overall build quality is decent enough and it feels comfortable to use (if you're not a tall person) though the lack of heart rate receiver and user profiles really is a bit of a let-down. So get those missing user profiles, a wireless receiver, heart rate control workouts and a longer warranty for a lot less cold hard cash with the Viavito Sina. 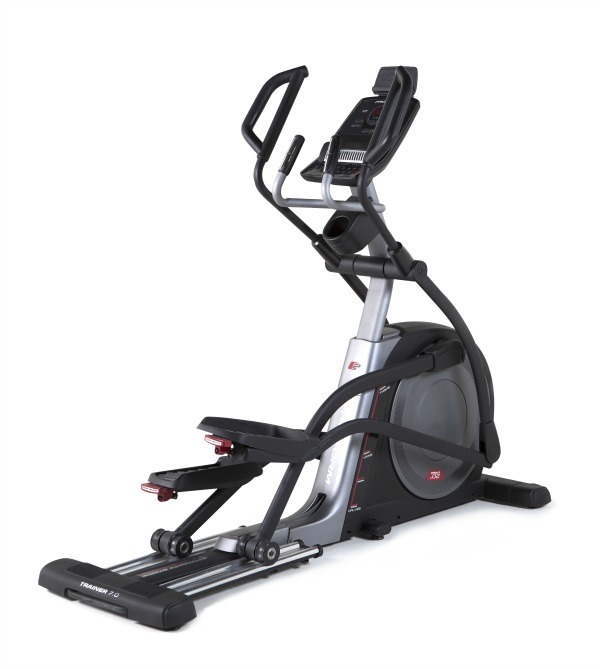 The Jet 100 is a good elliptical but when compared directly with what else your money can buy, it just can't be justified.